Our business covers various fields. Each employee has deep knowledge and skills as a professional, and as a team, Ohara provides consistent service from development, construction to after-sales service and maintenance in all products. Ohara’s staff is a group of experts of technology who offers comprehensive products and services to meet the customers’ needs. Sales staff are important contacts with customers. With a great deal of expertise, they understand the customers’ needs and have them reflected in product design, by proposing many elements at high level to realize them. 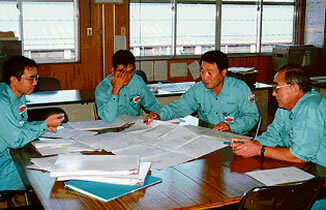 Sales staff members are technical coordinators of Ohara. High-level techniques and skills are required for production staff who produce products from drawings. 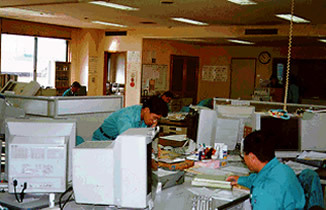 Ohara’s production staff are global manufacturer with accuracy, toughness, reliability, professional techniques and mechanical reliability. 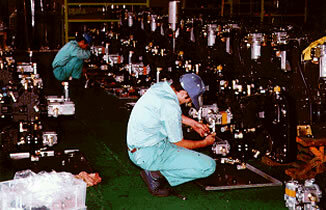 An organized support is necessary for the manufacturing section to function in a well-planned and systematic manner. As production controllers of Ohara, their duties range from production planning and distribution, material and procurement management, to technical management in each plant. Technical staff pursue innovation and keen sensibility. With their development capabilities, which involve many different techniques to embody user needs into functional and highly reliable products, they would be called mechanical creators of Ohara. 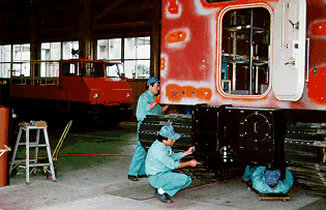 We offer reliability backed by years of experience and strict quality control. As quality managers of Ohara, they promote quality assurance to provide our customers with only those products which pass a number of quality control filters. General affairs, accounting and human resources… They solidify the company and take full advantage of management resources. Through strengthening and optimization of the organization and personnel, their role as motivation conductors who contribute to the development of the group aiming customer satisfaction is important.